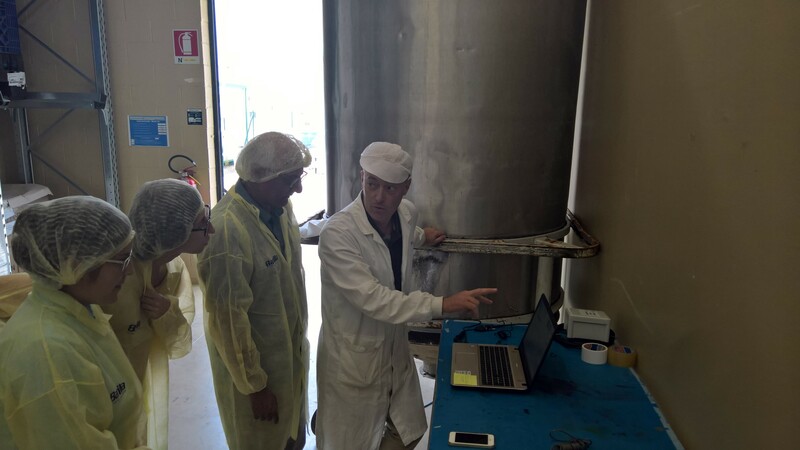 Throughout the summer, Barilla constructed the experimental silos for the test-run of the real-time monitoring systems that were developed by IRIS and Cranfield University (see story). 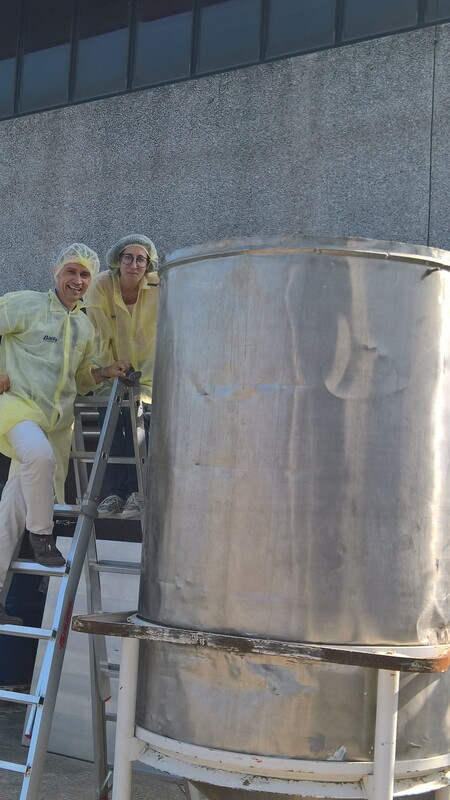 And, in August 2017, the researchers from Cranfield University went to Barilla in Parma, Italy, to install and monitor these pilot scale silos. 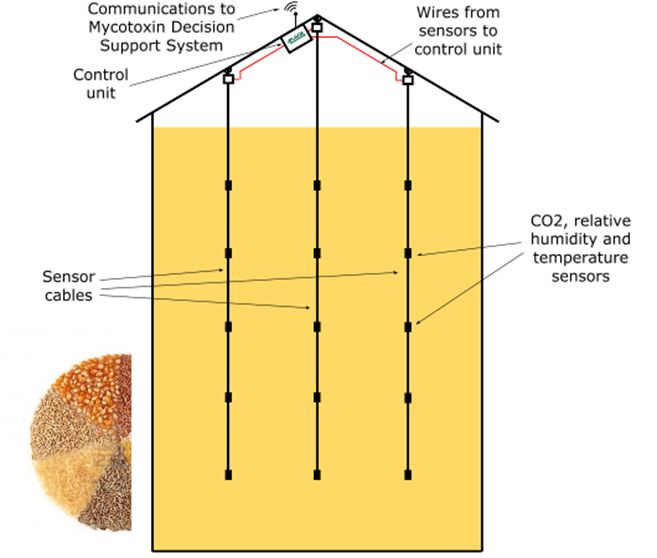 The system is based on the real-time monitoring of CO2, RH and temperature, which will be tested by comparing and evaluating both indoor and outdoor storage conditions, and simulating the effects of a real harvesting campaign . While the first tests are finished, they are continuing for the next few months.. 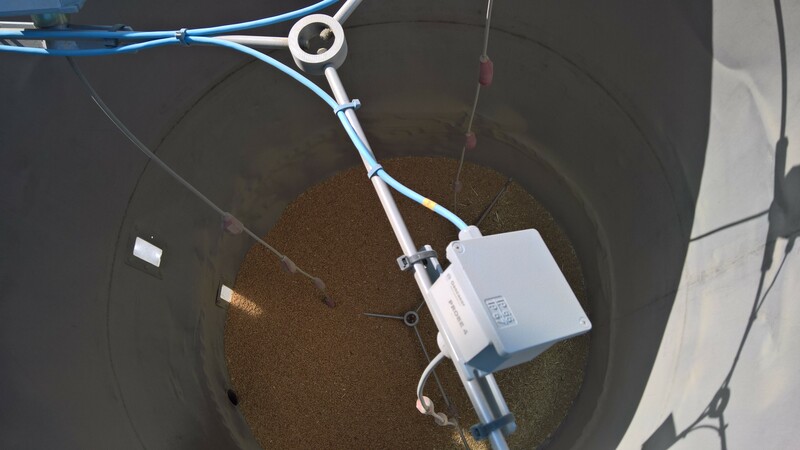 The real-time physical measurements received from these tests will be linked to the biological models of quality loss (dry matter loss) in relation to mycotoxin contamination relevant to the EU legislative limits (e.g. ZEN, OTA in wheat; fumonisins and aflatoxins in maize; aflatoxins in peanuts), and to the scenarios growth/no growth and mycotoxin/no mycotoxin boundary conditions for better post-harvest management of these commodities. These activities are all contributing to the objective of Work Package 2: To develop real-time environmental monitoring systems for storage of cereals and peanuts to facilitate effective integrated control of moulds, mycotoxins and pest activitiy for integration into a Decision Support System (DSS) of the web-based MyToolBox for post-harvest storage managers.